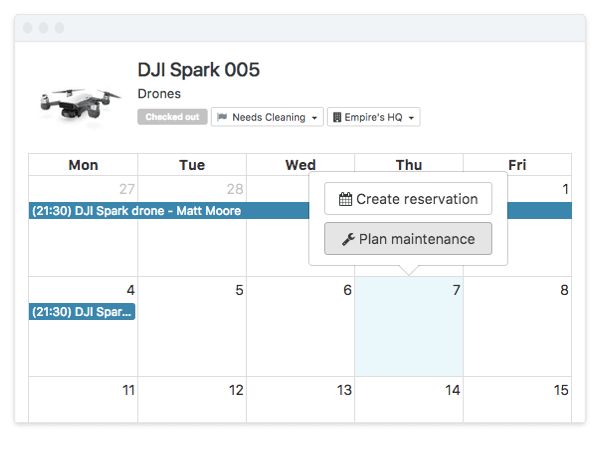 With CHEQROOM’s comprehensive overview of equipment and schedules, you can plan maintenance to go with the (work)flow. Eliminate redundancy and double-bookings, and maximize uptime. Out-of-service equipment means lost time and money. Let CHEQROOM help you move your assets through maintenance and repair, and back into inventory, as quickly and efficiently as possible. Got a glitch out in the field? Let homebase know immediately so they can respond just as quickly to help you resolve the issue. Schedule preventive maintenance before equipment fails & avoid expensive repairs or replacements. Give your entire team access to vital information on equipment availability. Get more years and projects out of your assets with regular preventive equipment maintenance. Your budget manager will love you. 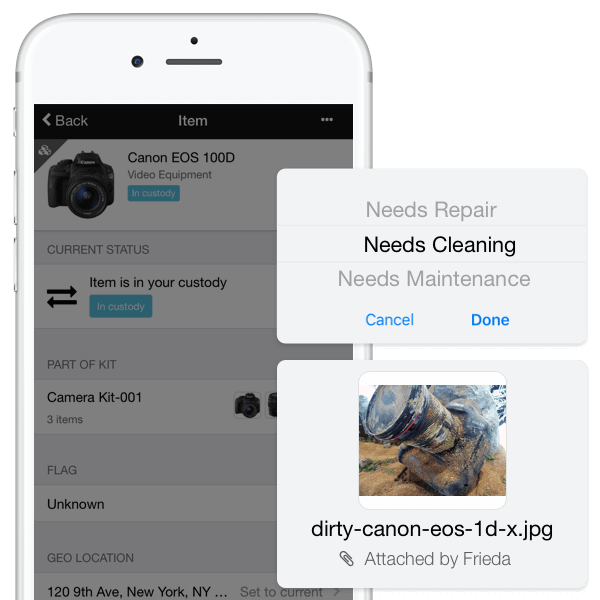 With a complete usage and maintenance log of all your assets, you’ll be able to easily spot recurring issues and trouble spots. 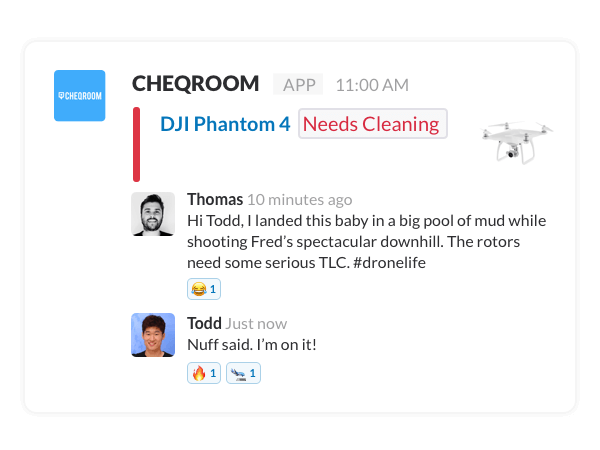 CHEQROOM lets you identify specific items and receive real-time alerts for usage, maintenance, status, etc. Define user roles and categories, designate who's responsible for maintenance & schedule inspections at intervals that fit your business. No longer struggle with multiple record-keeping systems. Keep all data in one integrated, easily accessible app that’s always available. Inspect and review all maintenance records for any particular piece of equipment. 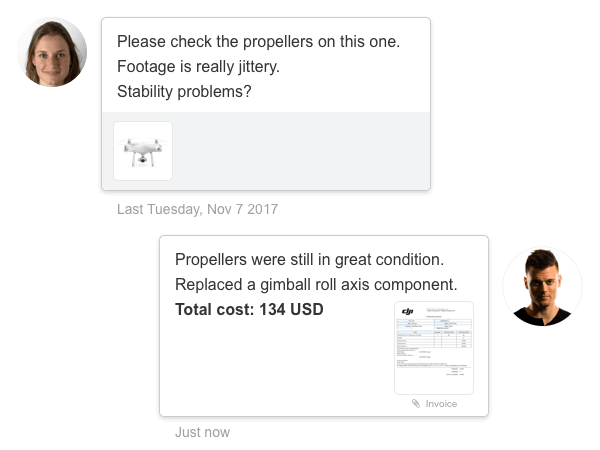 Keep track of problems on the fly, whenever there's an issue with equipment in the office or in the field. Always keep an eye on the available gear and the items that need some TLC. Communicate with users to know went wrong & get your equipment up and running again.